9am to 4.30pm daily. Closed on Christmas Day. 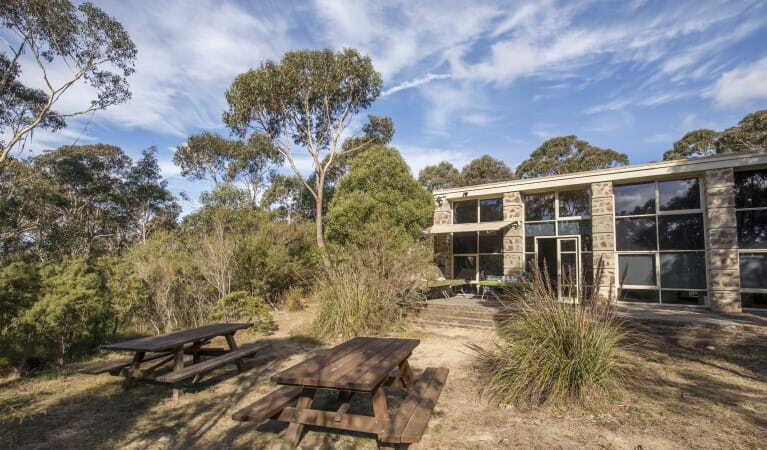 Blue Mountains Heritage Centre is available for events and function hire. 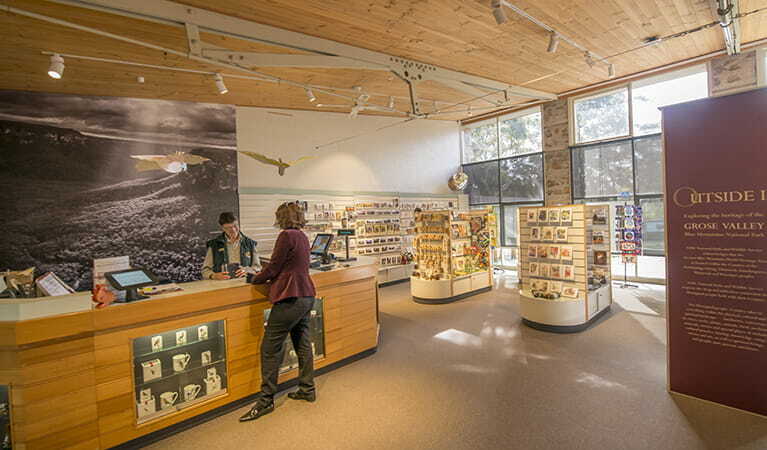 If you're planning a long hike or visiting a remote part of the Greater Blue Mountains wilderness, drop into the visitor centre to complete a trip intention form and hire a PLB. 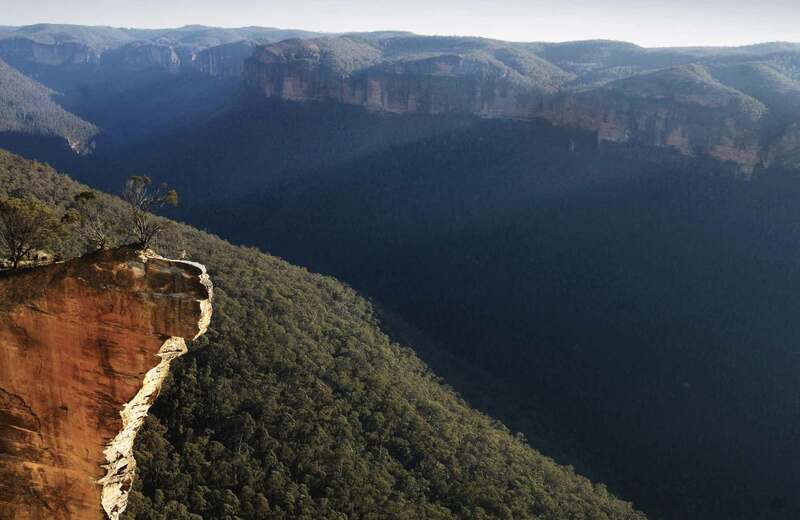 Located near Blackheath, discover all you need to know about the activities and history that make Blue Mountains National Park one of Australia’s most popular and famous destinations. 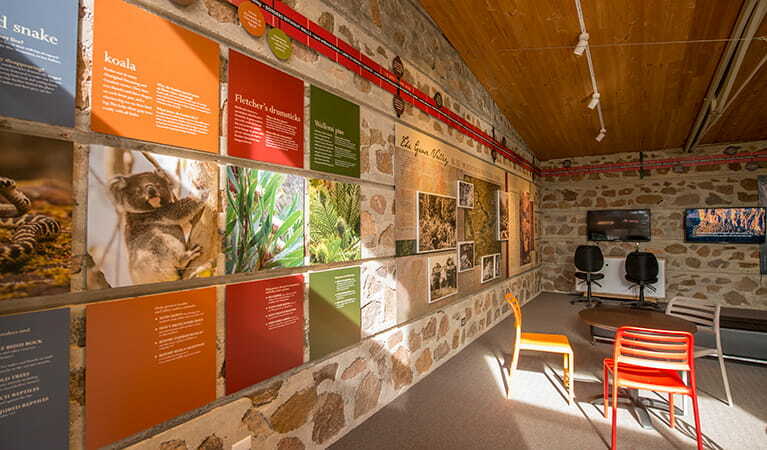 Perfect for groups and completely wheelchair-accessible, the Heritage Centre also hosts the permanent 'Outside In' exhibition. Learn about local Aboriginal culture, plants and animals and the fantastic walking tracks around the stunning Grose Valley. There is also a gallery and theatrette for hire. For a unique virtual reality experience, pop on the Oculus Rift VR goggles and travel through one of the world’s most spectacular canyons - Claustral canyon. The cost is $10 for 15 minutes. 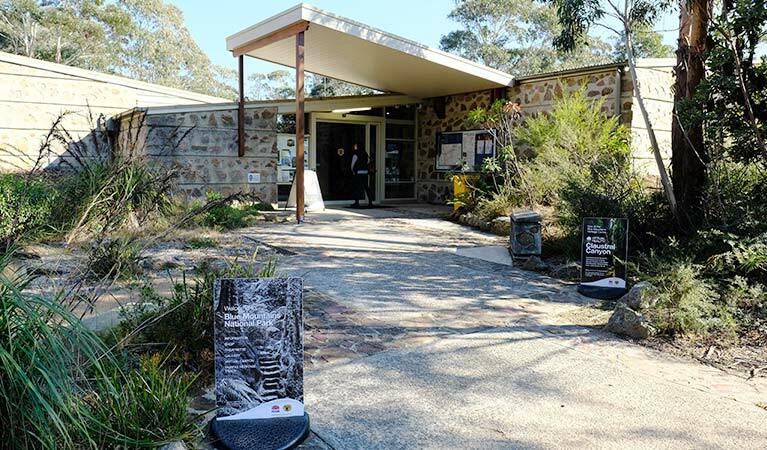 A great pit stop on a family day trip, Fairfax Heritage walking track starts here and leads to the picnic area and scenic views of nearby Govetts Leap lookout. The more adventurous will also find detailed guides and maps for long walks to remote areas such as Acacia Flat campground. Looking for a unique Australian-made gift? Browse the centre for souvenirs, clothing and books. Ever wondered how to thrive in the bush? Learn some essential bush skills on this 2km walk for teens at Blackheath in Blue Mountains National Park.